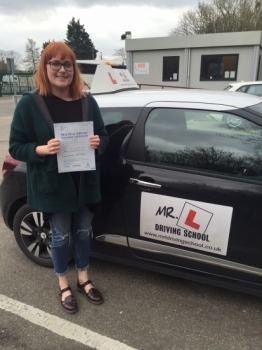 MR L Driving School has helped learner drivers in Ely successfully pass their driving test by providing high quality tuition delivered in a professional but friendly and relaxed manner. We know that trying to find the right driving instructor to suit you can be a confusing process but we are dedicated to ensuring you receive the very best service whether you are a complete novice, or a more experienced driver want to brush up on your technique. Your tuition will be adapted on an ongoing basis to provide you with lessons suited to your learning style so you will achieve the maximum benefit from every hour spent behind the wheel. These are just some of the benefits of choosing MR L Driving School for your driving lessons. Let MR L Driving School Ely teach you to drive and you will quickly find you have the confidence, skill and attitude required to succeed.